Can You Grow Banana In Flowerpots? Did you have to look twice at this title? Who can grow a banana in a flowerpot? Well, if you are feeling brave and adventurous and think you would like to give this idea a go, here are a few tips! Banana is a lush green, fast growing plant that can give any place a tropical look and feel. Many varieties become excellent houseplants that don�t need much care and grow up very quickly. 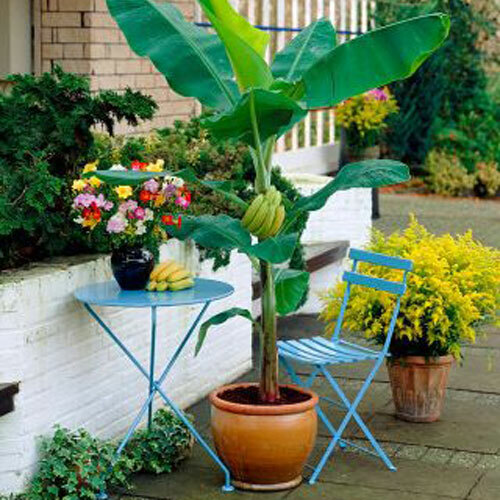 Dwarf varieties of banana trees can grow anywhere. 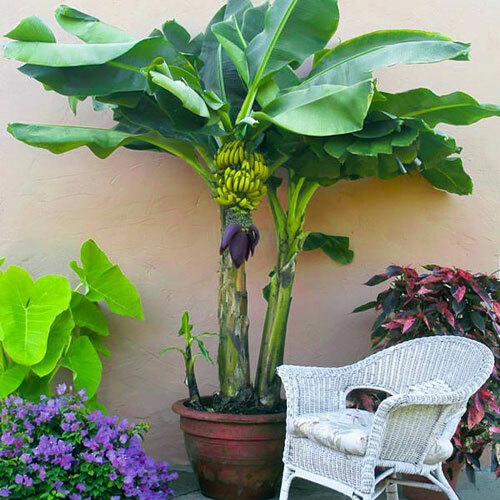 Growing a banana tree in a garden planter in a tropical climate is super easy, with little care. If you are living in USDA Zones 9 to 11, keep the potted tree in the shade in afternoon in summer, when it�s young. Make sure the flowerpot has well, draining soil. Buy a good quality potting mix. 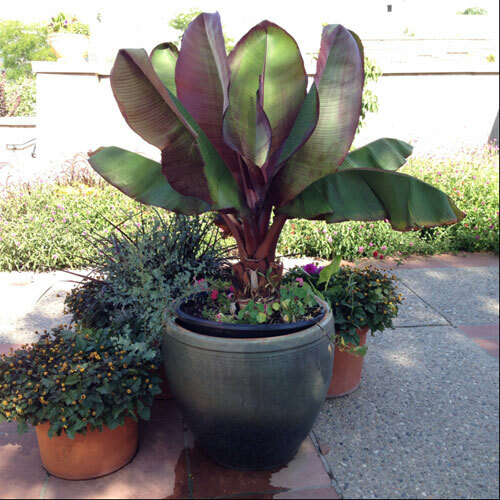 Potted banana trees need slightly acidic to neutral soil to produce potassium rich bananas. Banana loves moisture. Water the planter regularly and deeply but don�t over water. In summer, water daily. In hot weather, water twice a day. Soil should be moist but not soggy. Banana Plant likes humidity, so to increase it around the plant, mist it and place a layer of pebbles in the saucer, fill the saucer with water and make sure the pot is not sitting in the water. The humidity will help. When the temp outside drops below 50 degrees you need to move the pot indoors.